The Port Fairy Community Market runs at Railway Place on the 2nd and 4th Saturday of each month and weekly during January. 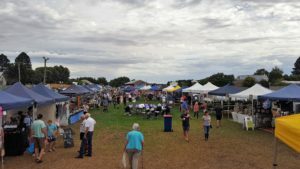 It brings together a selection of locally grown and handmade products and produce. The large variety of quality stalls ensures there is something to tempt everyone. 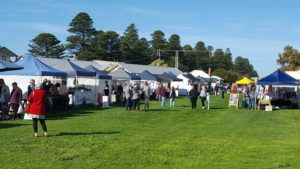 So whether you are looking for a unique gift for someone special or a delicious treat for yourself, our markets are sure to please. 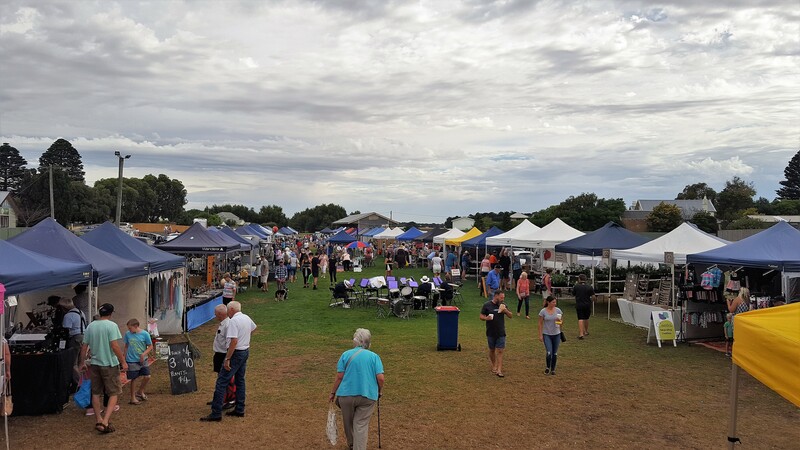 Port Fairy Community market operates from 9am – 1pm for all your fresh fruit & vege, cakes, jams, candles, clothes, local wine, hot food & coffees, plants, flowers, jewellery & collectibles. Dates for 2019 are available here. Market dates 2019. Please read the market policies before applying.